Whatcha got there, Tink? 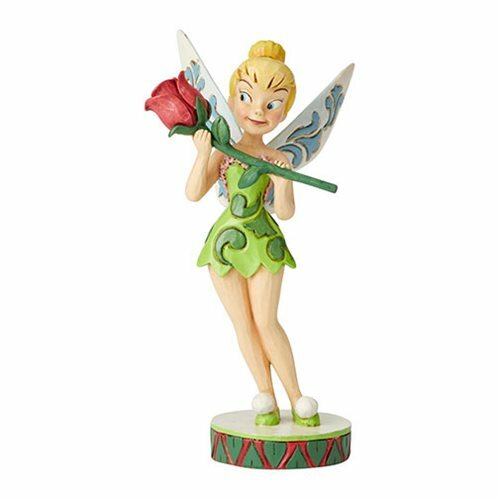 Renowned artist Jim Shore brings us Peter Pan's feisty fairy friend lovingly admiring a pretty red rose in this enchanting Disney Traditions Tinker Bell with Rose Bell in Bloom by Jim Shore Statue. 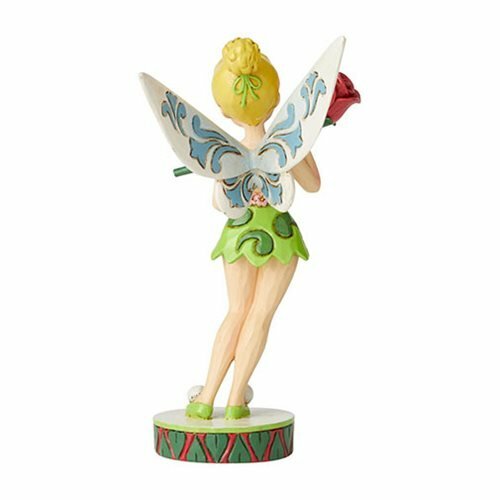 Made of polyresin and calcium carbonate, it measures about 6 1/2-inches tall x 3 1/2-inches wide x 3 1/4-inches long.